moxie made: may i suggest? are you in the mood for something holiday-ish? seriously. go to trader joe's right now. 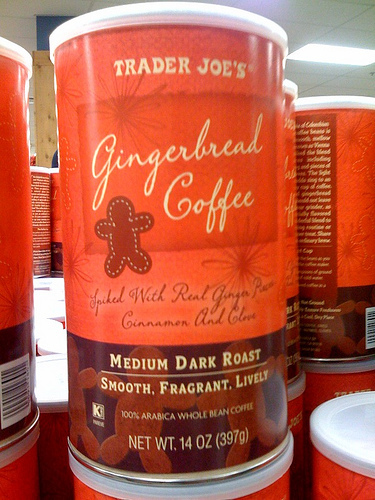 and purchase a can [or twelve] of gingerbread coffee. they get gone fast so you better grab one while you can. it was a beautiful way to start my monday! This made me salivate. I live in Florida and we don't have Trader Joe's here and it is an absolute travesty! It is the BEST!